Fantastical Intentions is back, this time with a very snazzy new logo courtesy of Hannah. For those of you who haven't seen the first few iterations, here's the lowdown. Fantastical Intentions is a weekly feature run by Hannah (from Once Upon A Time) and myself, in which we select an category from sheer whim, and then choose our favourite novels or fantasies within that category. Previously we've covered races, Christmas reads and fantasy worlds - and this time, we're adding 'Magic Systems' to that list. Feel free to comment below with your own picks - we'd love to hear from you. My pick is the magic system from Maria V. Snyder's Study series. 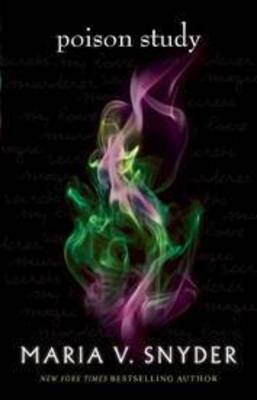 A trilogy beginning with Poison Study, it follows Yelena as she is released from her death sentence to become a poison taster for the Commander and must learn how to tell if food is poisoned and with what from Valek, the Commander's personal assassin. This is one of those books that I believe could be called "new adult". It doesn't quite feel young adult but it's also not quite adult. Either way, I loved it, and the magic system was utterly fantastic. The idea behind it was that it was basically like a large sheet across the world and when you used magic you took a thread and weaved it into your spell. In some places the magic bunches up, in some it's more sparse, and at all times there needs to be a kind of balance else it all collapses and it's highly important that young magicians are found and trained before they lose control of what's inside of them and cause serious damage. I loved the way this magic system was thought out and described so much. Of course, I'm also damn fond of the magic system within the Kingkiller Chronicles but I turn to Patrick Rothfuss way too much so I believe it's somebody else's turn. Did I mention this was a hard choice? I believe I did. There are a huge number of potential systems out there: rule-based, mysterious, and everything inbetween. And choosing a particular style as my favourite? I would rather read Goodkind. :P All the way through. So instead, my pick - though definitely a favourite - is chosen because it illustrates a few superlatively brilliant attributes. First, however, I should probably mention what I've chosen: Sympathy. 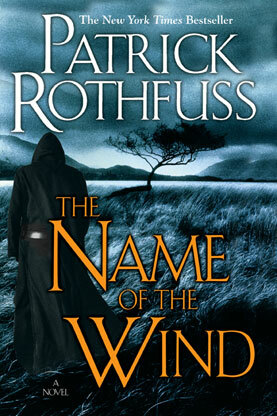 For those who haven't read The Name of the Wind, read it now sympathy is one of the two central systems of the novel and the series, and by far the more systemised of the pair. A common principle in all kinds of ritualistic practices, both fictional and historical, Rothfuss managed to turn this into a hard, rule based system: the user links two objects through a binding - anything from parallel motion to heat transfer! - using his or her will and belief. The more similar the objects, the better the link - so if a sympathist gets hold of a blood sample, get ready to worry. Because it's such a simple system, we know exactly what Kvothe can do: which makes his use of it both far more common and more interesting. When it's used as a resolution, it's not a deus ex machina - it's understood, which means anticipating said clever uses is a great deal of fun. These are our picks - but what are yours? Feel free to comment and tell us below! This is a great post- I just knew I had to say something when I saw the title! I've read so many magic systems, I think it's hard to say which I really love, but I'm going to say The Night Circus! I loved how there was two ways to perform magic- through either bindings or the traditional will altering the world kind. It really brought to light how magic- as with anything else- can be done in different ways to different effects. I also really loved the Belgariad Magic. Here, if you do magic it isn't just a one off effect. You alter the fabric of reality everytime and, if you don't completely understand the effect you might have, you don't know what could happen. In the book, Garion summons a storm which could have lead to an ice age because of the weather patterns it altered. (And that isn't a spoiler.) In this series as well, every magic user recognises another by the sound they make when the perform magic- a sound heard in their head. Heh, I'm a big magic systems fan too - so I can entirely understand the feeling. I've read the Belgariad, and though I'm not as big a fan of it as I was when I was younger, Eddings does write magic well: taking a couple of simple rules and making a usable system out of it - and one which doesn't make the characters invincible either, which is rather necessary in a story. Sympathy is really fascinating. I love how it's sort of scientific, too. I love all Brandon Sanderson's magic systems. They're always incredibly creative. Like allomancy - who would have thought of swallowing different metals to do specific things? You're right, there are so many great magic systems out there - Tide Lords, Codex Alera, Kate Daniels, Watergivers, Green Rider, the Obsidian trilogy, The Magicians, and of course The Wheel of Time are all favorites of mine. Brandon Sanderson's systems are very scientific, too - and he's an absolute master of the art. I felt that to feature him again, though, might leave me sounding rather repetitive. ;) The Obsidian trilogy I haven't heard of, but I'd agree with you there: and I must admit a preference for the new wave of rule-based systems, rather than the mystery-based magic ala LOTR. So much more usable (and I love my high-magic stories).